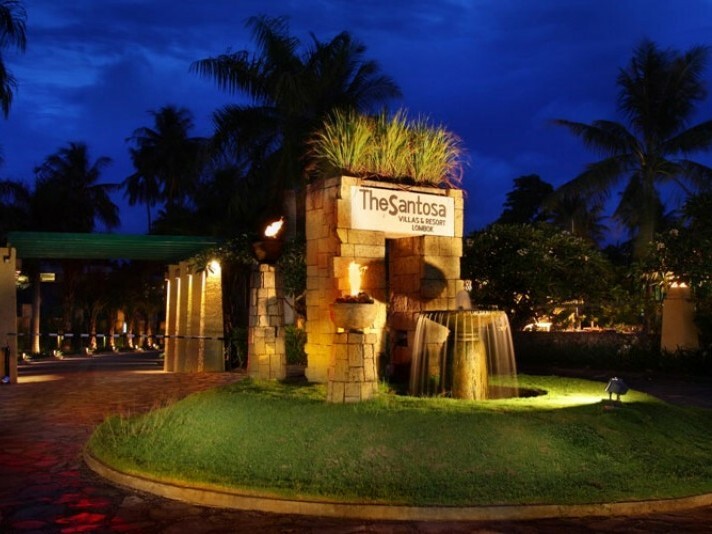 The Santosa Villas & Resort is one of the best four star hotels in Lombok, Indonesia. There are 155 rooms, 4 villas each with its with own swimming pool and 3 presidential suites. All rooms have modern décor and amenities such as international direct dial phone, mini bar, satellite television, air conditioning, open air bathroom, hair dryer, mini bar and private terrace. The hotel offers a variety of entertainment options such as table tennis, outdoor swimming pools, aerobics and diving. There are also six restaurants plus a business/conference area.